Hobby Lobby has large selection of paper mache products, and during a recent 50% off sale I found that this stag head had accompanied me home. He wasn't anything I needed or even knew what to do with, but who could pass up 50% off, right?!?! Rather than just paint over the paper mache, I used a thin coat of joint compound from the hardware store to create some texture over the paper. 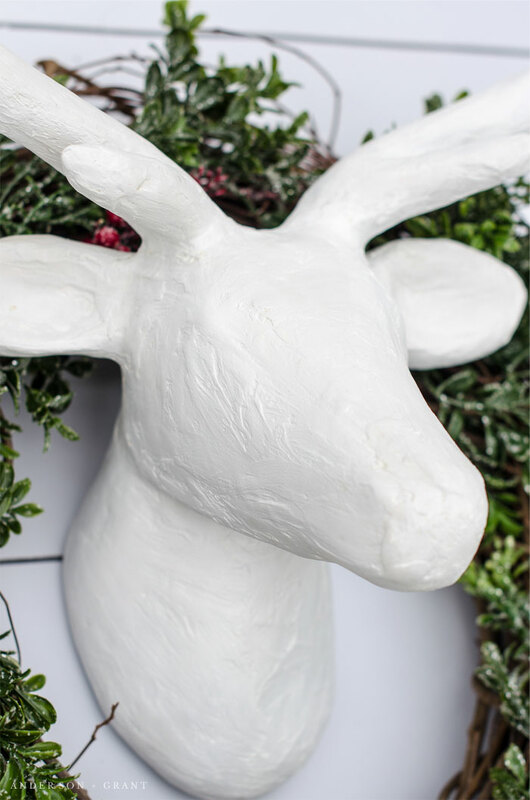 Using this product gives the deer an almost stone like appearance. (I've used it to update a thrift store lamp in the past, too.) 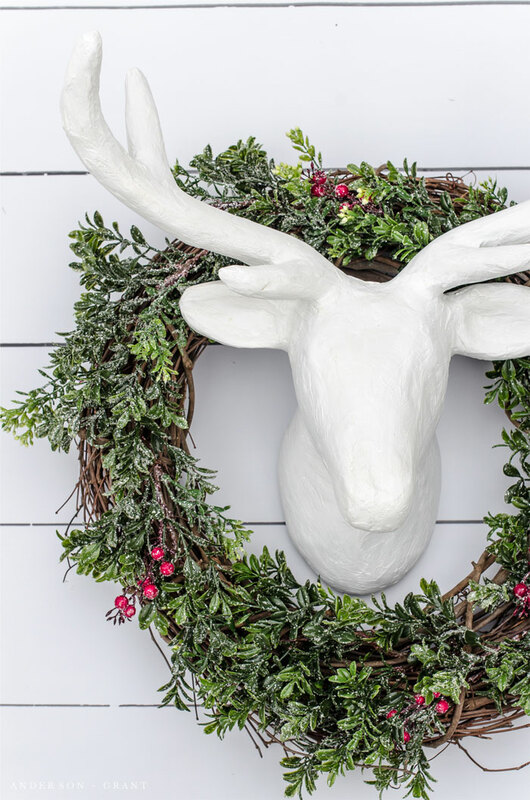 Also, it is a great way to "fix" the paper mache when it breaks in places like where the horns meet the deer's head. The joint compound will hold it all together if you add a little more in these areas. The compound will turn pure white when it is all dry. And when it does, use a fine grit sandpaper to gently smooth out the surface. Not enough that all that great texture disappears, but just enough so that the bumps and ridges of the compound even out. After my deer was as smooth as I wanted, I painted him with one coat of Fusion Mineral Paint in Casement. It looked similar to one that I found in Target for more money, so I was pleased. Until I saw one at Michaels that was painted dark gray with light gray dry brushing and fell in love with him as well. Are a few more coats of paint in this little guy's future? 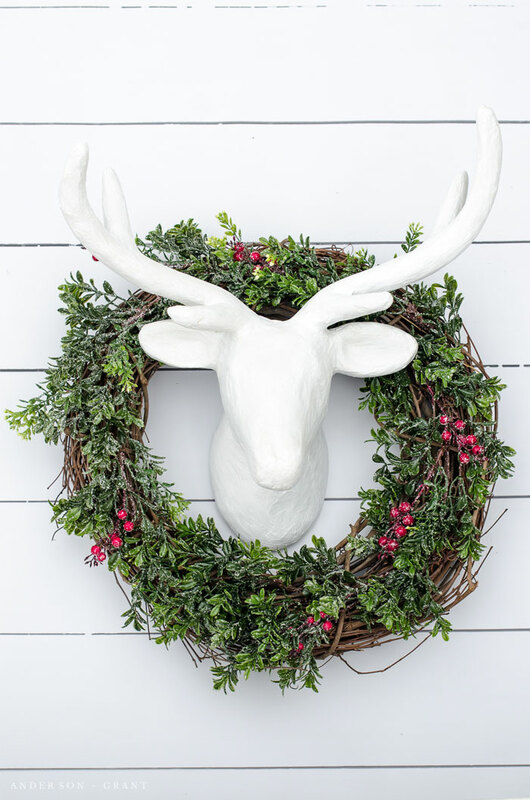 I really do love the contrast between the pure white deer and the vibrant green and red boxwood and berry wreath, though. 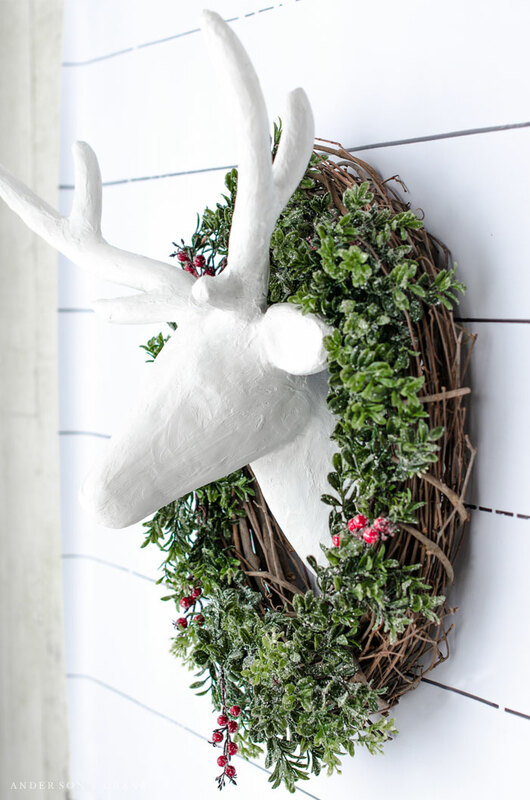 (Learn how to make your own boxwood wreath.) 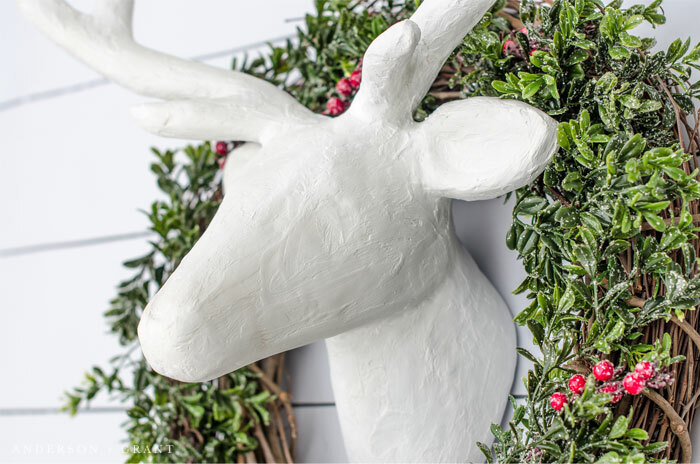 While neutrals are always my go to, those beautiful pops of red and green at Christmas really add something special to the decor. Thank you so much for visiting today and I hope that your Christmas season is continuing to be full of joy and that you are taking in all that the holiday has to offer.